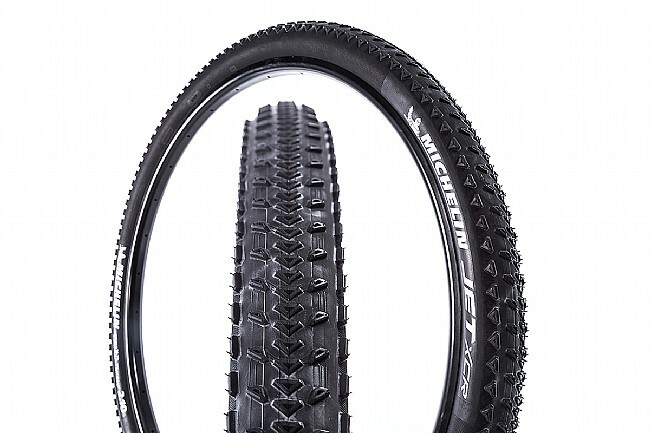 The Michelin Jet XCR Tire is purpose-built for serious racing on the mountain, featuring Michelin's Tubeless Ready technology for improved traction, control, and comfort. 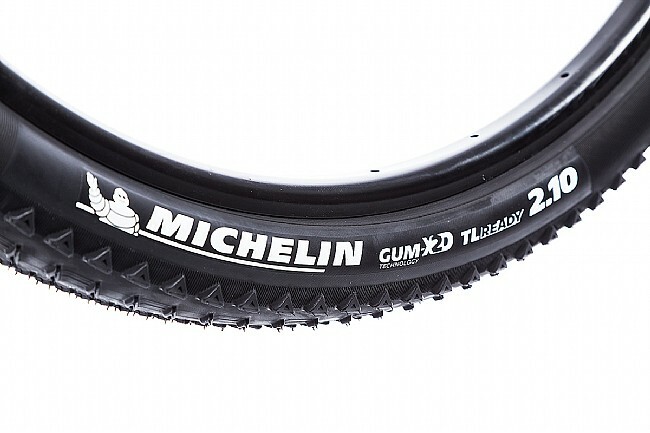 Combining two of their rubber compounds into a single tire, Michelin's GUM-X2D compound features the efficiency-optimizing Race Compound and the grippy Traction Compound for the best of both worlds in one light package. The Michelin Jet XCR Tire is available in two widths: 2.1 and 2.25". Also available for 27.5" wheels. Race Shield 3x150TPI casing architecture is flexibile, robust, and lightweight. GUM-X2D Rubber compound combines low rolling efficiency and grip-increasing traction. Tubeless Ready technology improves traction, control, and comfort while improving puncture protection. Weight: 560g (2.1") 600g (2.25").